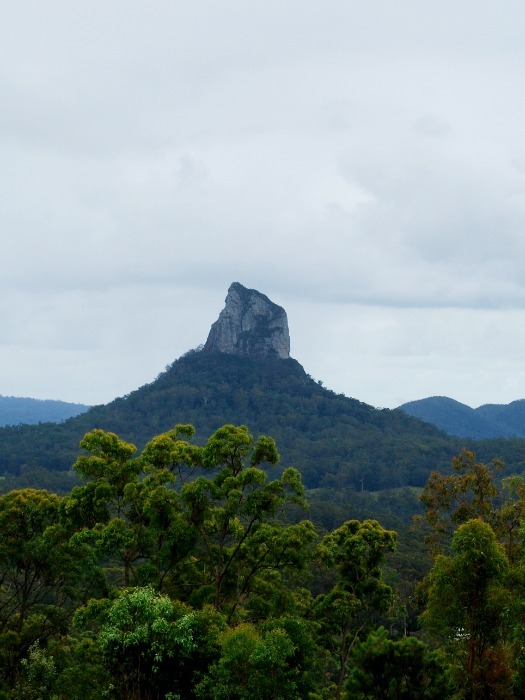 After Australia Zoo, we thought we would go back to see Glass House Mountains as we saw the turn off on the way to the zoo. It didn't take too long to get there. The red car on the left is our hire car. The rock formations are really fascinating. We didn't stay here too long as there really wasn't much to do after you looked at the mountains. 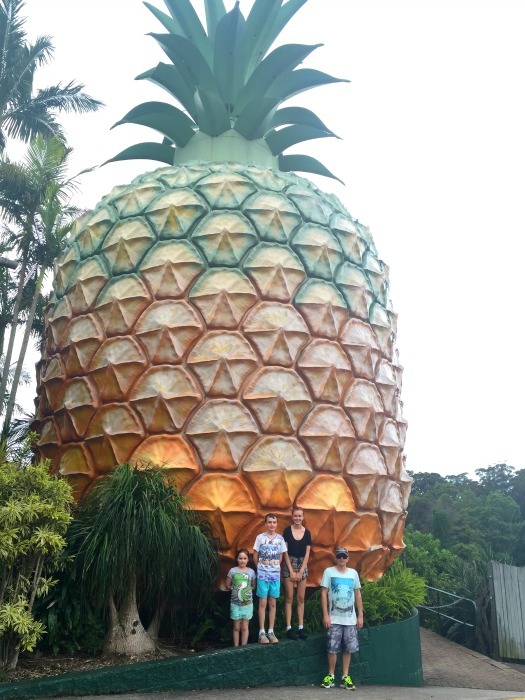 Steve suggested that while we were in the area, we might as well go and see the Big Pineapple. We were very surprised when we got there as neither of us knew that it had closed down! That was a little disappointing, but at least we could still get a photo with it, especially because it was a bit of a trek up from the Glass House Mountains. At least there was no one else to get in our photo, I guess. We then start the drive back to the Gold Coast and of course we catch the afternoon peak, so out drive back takes a while. 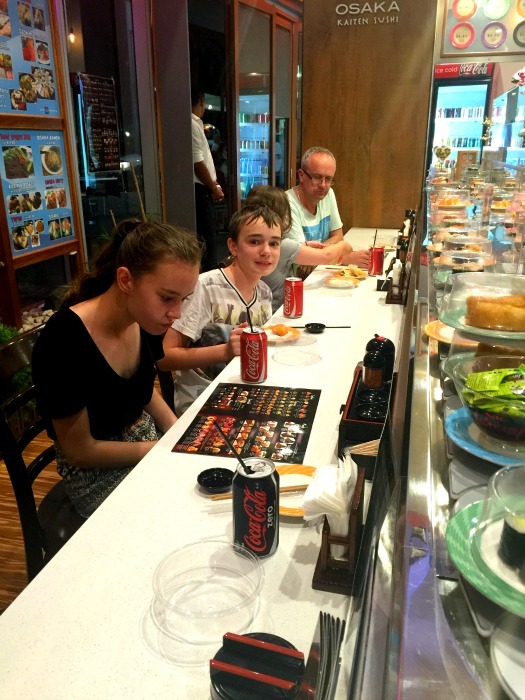 We decide to go the sushi train restaurant at Q1 for dinner as Steve and the kids love sushi. After dinner we head up to the grocery store and while we're there, we check out Timezone. 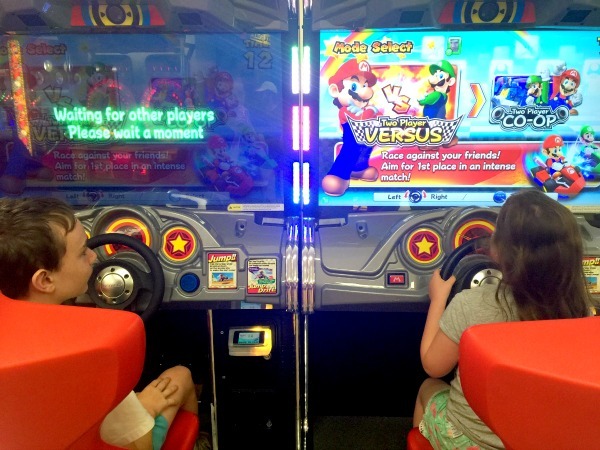 Oh how many hours did I spend as a kid at Timezone? And we slept really well that night.